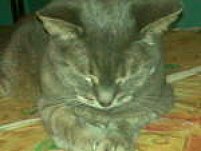 Here you will find cat health tips and advice to help you keep your feline healthy and happy. As cat owners for over twenty years we know how important it is to be able to easily and quickly access information concerning your cat's needs. When we brought our first kitten into our home and lives, we spent a lot of time researching, reading and asking our vet everything from what's the healthiest type of cat food to the best type of litter, and trying to learn everything we could about this loving little kitten who was hiding under our bed. As our love grew for our feline friends, so did our desire to make it easier for fellow cat owners to access information about their cat's needs. Whether you have been a cat owner for years, thinking about getting a kitten, or simple just love felines, this site is for you. Having a cat in your home can help to reduce blood pressure, reduce stress, help with depression and improve your mood. Our feline friends bring so much positive benefits to our lives, so it's important that we do our best to provide them with a healthy happy life. What Does Our Website Offer You? Here at Cat Health 101 we will provide information on all aspects of your feline friend's health, with just a few clicks you will be able to easily access information on your cat's food, compare different types of litters, get a list of important questions to ask your vet, find out the essential vaccines your cat needs, read about different health problems cats face and much more. As lovers of these unique and affectionate pets, we will also be celebrating cats through fun facts about cats,contests and cool cat product reviews. We are consistently updating and adding new information to our site, feel free to visit often. Get yourself a snack and your feline friend some healthy cat treats and check out these pages below. 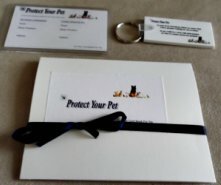 In case of a medical emergency or accident, the Protect Your Pet Card informs emergency services that you are a pet owner, the card also has information of the person to contact concerning your pet. We remember when we brought our first kitten home. Here are some important tips to help you keep your kitten safe and be prepared. A guide filled with easy simple ways to find a cat veterinarian in your area. Cat vaccines are an important part of keeping your cat healthy. A breakdown of the vaccines your cat needs and the ones they don't. Discussing the benefits of spaying, the surgery and the after care. Discussing the surgery and benefits of neutering your cat. There are many poor quality cat food that are bad for your cat. Here is a free guide that helps you buy the best cat food for your cat. Discussing the pro and cons of the different types of cat litter. 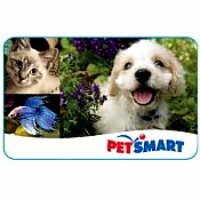 A free guide on buying the best cat litter for your cat/cats. Cats are great at keeping themselves clean, but sometimes they need a little help. Here are some tips on cat grooming. A list of cat pregnancy signs to confirm that your cat is pregnant, and how to take care of her. A list of common cat health problems that your cat may experience. 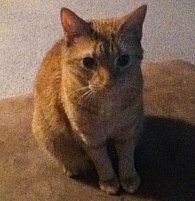 Examining several common cat behavior problems and how to stop them. Learn interesting facts about cat anatomy. Discussing everything from your cat's senses to your cat's whiskers. Here are some safe affordable high quality cat supplies for your cat. A list of interesting fun cat facts. Cats are more unique and special than we even realize. Cute and Funny Cat Videos that will definetely put a smile on your face. Sometimes it's hard to decide which brand of cat food to buy for your cat or the best type of litter. Here are great cat product reviews that will help you in your search for the best cat products. 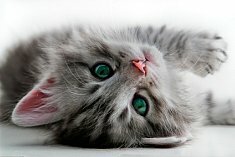 The Cat Health Blog updates you to any changes or additions to www.cat-health-101.com, subscribe here. Would you like to share your knowledge about cat health? Great, find out how you can submit your story or tip here.